Well, if you wanted to have a game where you can almost do anything, Streets of Rogue is trying to do that for you. You want hacking? You can hack fridges and have them rush through walls because why the heck not? Want to be a gorilla? You be that as well and punch drug dealers in the face. You want to be a doctor? You can do that as well. Does that all work out with there being so many variables to control? You know what? The developer seems to be doing a bang up job so far. Let me break it down for you. 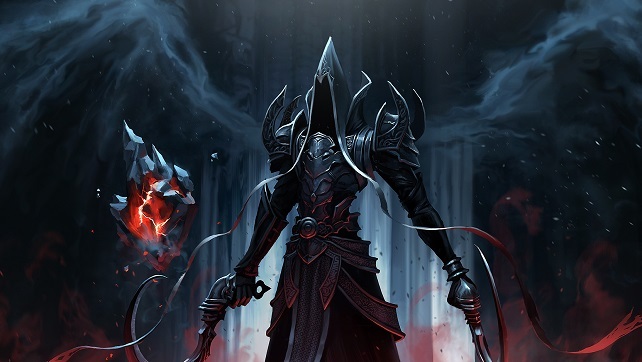 Level up and get stat bonuses… or let your Twitch viewers pick for you if you stream! There are obvious limitations based on what character class you pick. If you go with the monkey, you can’t talk to people (unless you have the subsequent item). If you’re a doctor, you can’t use guns. If you’re a jock, you can’t use computers. There is so much variety that there aren’t any real super picks in the jack-of-all-trades category. That is if you’re going for a stealthy, non-violent approach. (If you’re going to kill people, there are plenty of options for you!) I’m always excited to try to do stealth when the system gives you an option for it. However, there are some circumstances where not killing someone isn’t an option and money is. If you don’t have money, then things get messy. Or at least I haven’t come across a way yet. The best character to use in this scenario is the doctor, but as I said, it’s still rough. The game plays very smooth and the interactions are super fun. I love the options and the areas that are available right now. Currently there are only two areas to roam around on and others in the making as we talk. There really is a freedom to all of this and the weapon selection is also varied. You can use anything from tranquilizer guns to baseball bats to chloroform. 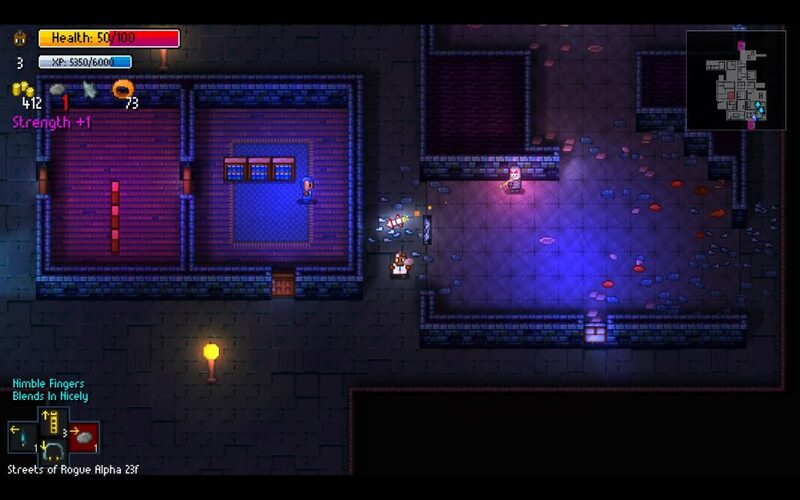 Streets of Rogue, when shooting, is a twin-stick-shooter that is very easy to control because it’s (thankfully) not a bullet hell and I’m hardly ever in the mood for that. Now, if you’re going to go around shooting people, the game is fairly easy. 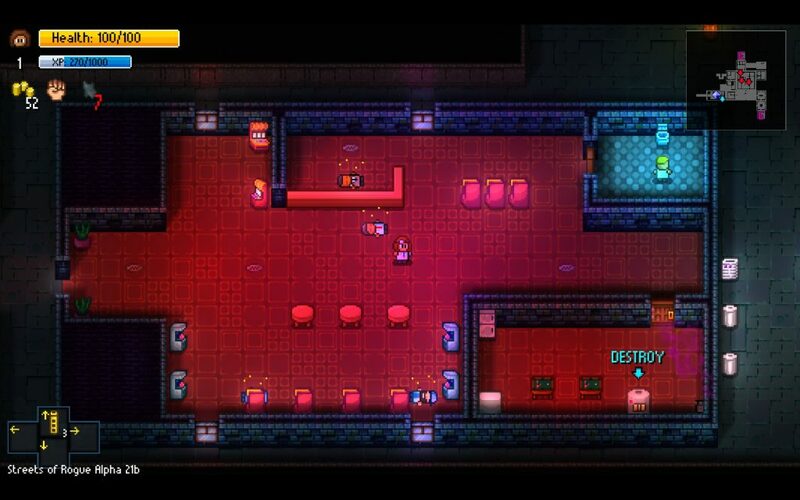 You’ll still have to make sure that you don’t run out of ammo, but there are also items that recycle other items you don’t want into bullets. Isn’t that convenient? 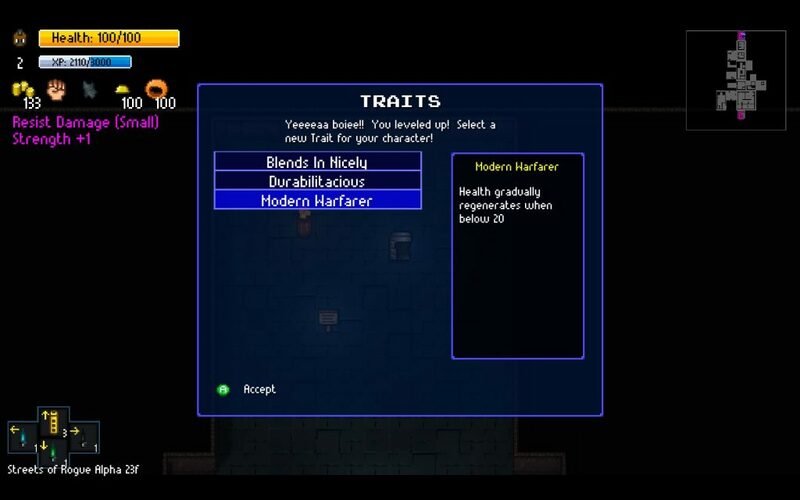 There is also some Twitch integration included which allows players to pick your level-up upgrades, bonus items given. Every third level, something nasty awaits you and your viewers can also pick what dangerous prospect you’ll face. Be the ninja! Be the gorilla with a team of other freed gorillas! Be the… bartender? Yes, Streets of Rogue has basically everything and it’s not even done yet. It’s a twin-stick, it’s a rogue-like, it’s a stealth game and it’s an action romp that’s fun solo and with friends. If you pick this up, know that it’s still early in development and that means there’s not a lot of content level amount wise, but what is here is solid. Streets of Rogue should be played by many and tried by all.